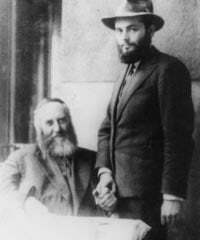 In November of 1928, the Rebbe’s marriage to Rebbetzin Chaya Mushka, daughter of the then Lubavitcher Rebbe Rabbi Yosef Yitzchak Schneersohn, was held in Warsaw, Poland. By then word of Rabbi Yosef Yitzchak’s heroic struggle on behalf of Soviet Jewry was world-renowned, and the high regard in which he was held was evidenced by the numerous rabbis, rebbes and lay leaders of European Jewry, and the thousands of people from all walks of life, who honored him with their presence at his daughter’s wedding. Those who attended the wedding later recalled the palpable sense of holiness which permeated the room as Rabbi Yosef Yitzchak delivered the discourse. Prevented by a curtain of iron from attending the marriage of their firstborn son, they were nevertheless determined to rejoice in his joy. 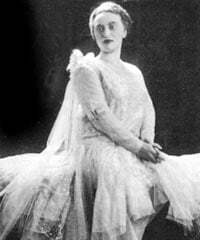 In a moving memoir, the Rebbe’s mother, Rebbetzin Chana, described the wedding celebration held in their home, which lacked the physical presence of a groom and bride, yet was aflame with a joy as powerful as the pain in the groom’s parents’ hearts. "Husband and wife constitute a single entity, sharing a single soul; it is only that G‑d desired that for a certain portion of its life on earth the soul should dwell in two separate bodies, and that each half should perform its mission in life separately, until such time that G‑d unites them in marriage." "This explains the tremendous joy that accompanies a marriage—joy which has no parallel in any other joyful occasion. Two half-souls, separated at birth and raised in different homes, different communities, perhaps even different countries, are being reunited by the power of 'He who sits and matches couples.' What greater joy can there be?"